So, this year we are trying something a bit different, instead of a trip to Orlando, we are headed to Disneyland Paris for a week. Last week, both girls were involved in a local theatre production of Pied Piper and the final performance is on Saturday evening. We are back home quite late, and did some final bits and pieces of packing as we wanted to be on the road fairly sharp on Sunday morning. We don’t actually leave for France until Tuesday, but we want to spend some time with my brother and his family on the way. We manage to get everyone up and in the car and we are on our way for 8.30, which is pretty impressive after the hectic week we have had. We are in Phil’s car, which is a pretty compact VW Up. 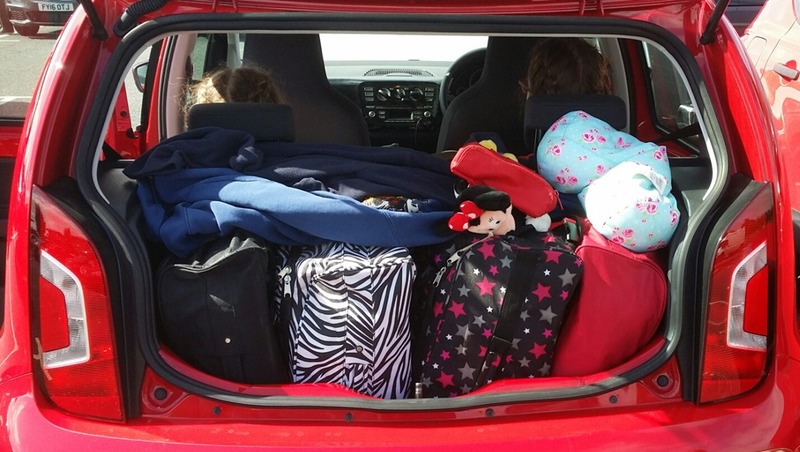 I drive a larger car but it’s been quite unreliable, so we’ve decided to manage with the smaller car, and are travelling with hand-luggage only. I was quite impressed with how well the car took 4 small cases. We have a brief stop in Wetherby for some breakfast, and arrive at my brother’s house around 1:30, it was a pretty easy run on a Sunday morning. 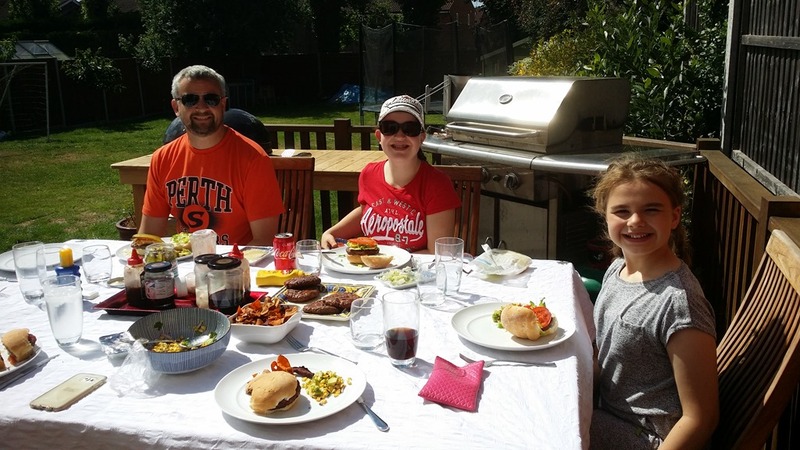 The weather in Essex was absolutely gorgeous, and we spent the afternoon in the garden enjoying a Barbeque. It was really warm, and I even caught the sun. Not something that happens very often when you are from Oop North. 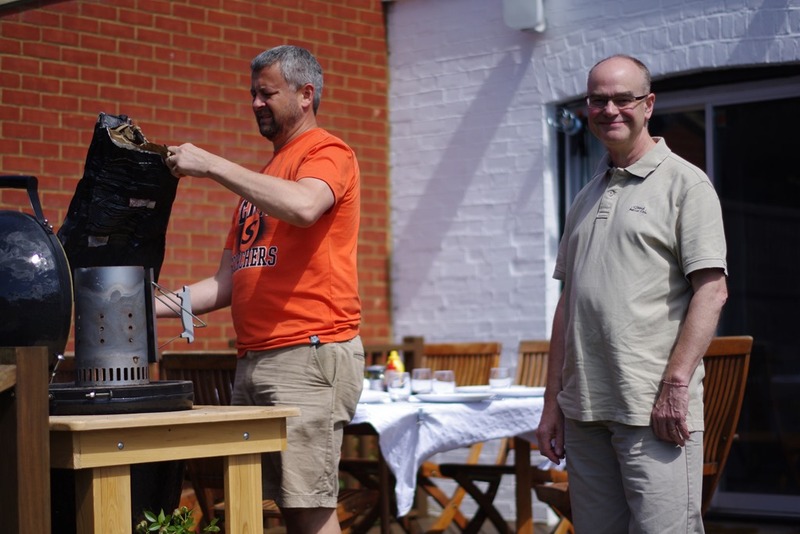 Not much to report really for Sunday, after the BBQ there was some footie and Olympics watching, and a relatively early night. 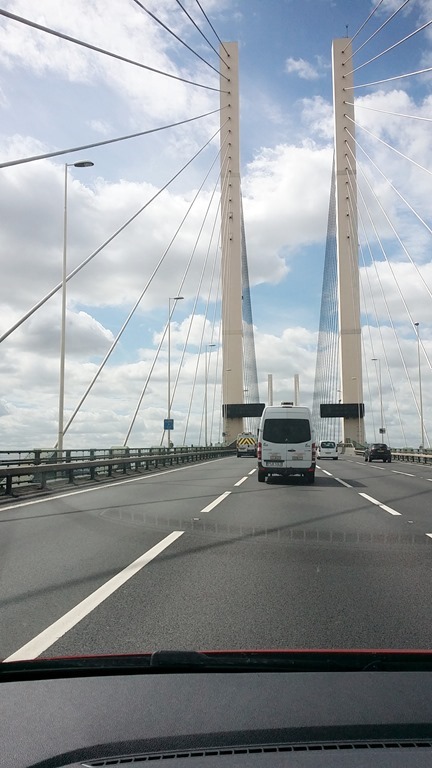 On Monday, we said goodbye to family, who had to work, and we headed over the Dartford Crossing into Kent. We didn’t have far to go, as we were only heading to Ebbsfleet, We had originally planned on staying with my brother on Monday night as well, but as they were working, and I managed to book a cheap Premier Inn, we decided to stay over close to the train station so that we wouldn’t have to worry about traffic before our train. As I’d never taken the Eurostar before, we wanted to find the station and also collect our tickets. We find the station easily, and the station is very quiet and looks extremely easy to navigate. I collect 16 train ticket (4 of us x 4 legs to the journey), and we are on our way quickly. Next stop, the Premier Inn, where we are able to check in early and leave our bags. We don’t stay long, and are back out on the road, this time heading for Bluewater. We have been trying to see Finding Dory since it came out, but with show rehearsals and other commitments, we haven’t seen it yet, so we are getting in the Disney mood with a trip to the cinema. We buy the tickets, and then find the food court for some lunch. There is a bit of excitement when we spot this sign. 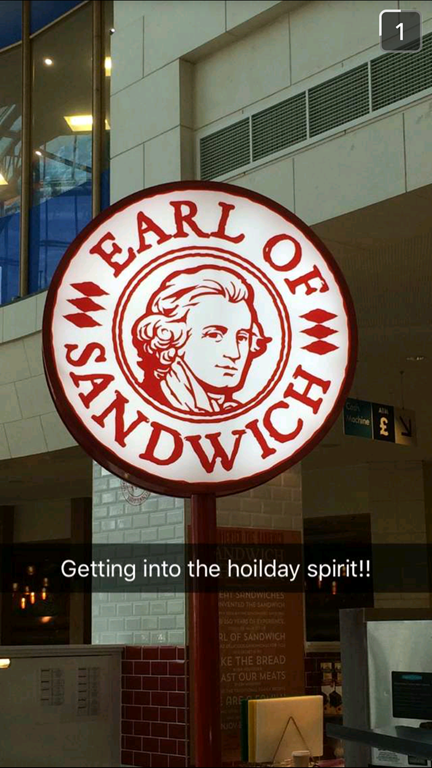 It seems only fitting that we start our holiday with an Earl of Sandwich. 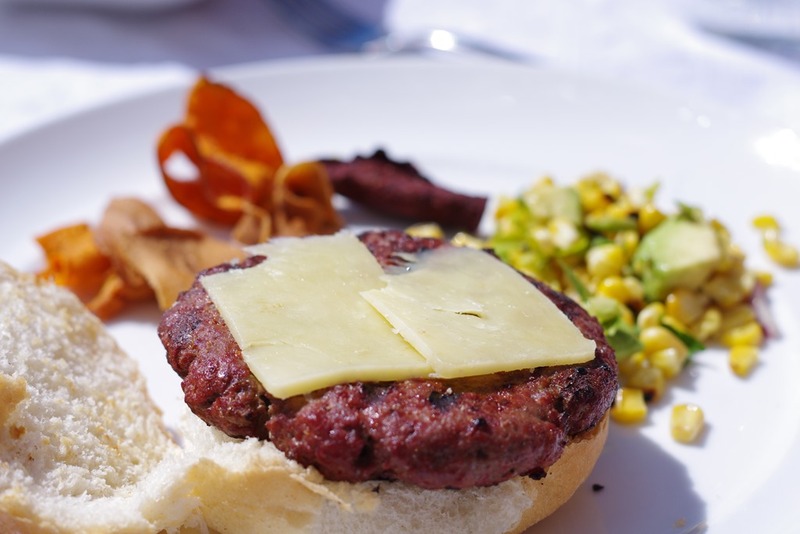 The sandwiches are nice, but something’s missing. I think it’s not quite the same when you are sitting in a food court. After the movie, we had a walk around the shops. There are quite a few shops here that I’ve only seen in the States, but we don’t really buy anything, and about 5pm we head back to the hotel. 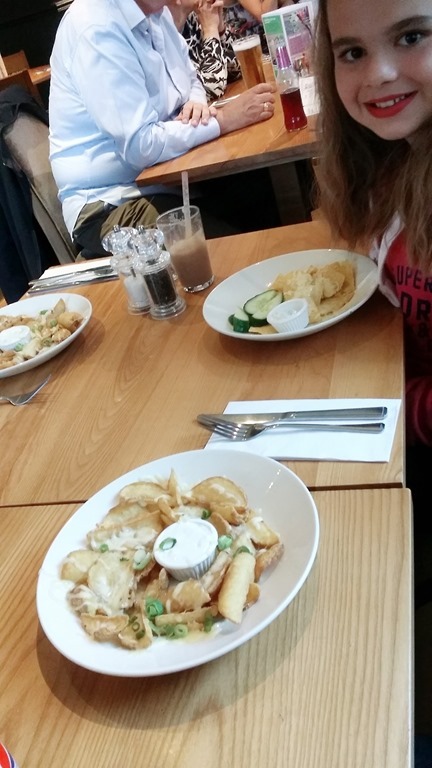 We had a rest and then headed over to the Beefeater for tea. It’s going to be a quiet night, as we are up early for the Eurostar in the morning. Our French adventure is about to begin.